Cafe Joe, the premier Israeli coffee chain comprised of over 250 branches and points of sales across the country, is expanding their digital presence with Cafe Joe USA by making their Nespresso compatible capsules and coffee available on the Amazon Marketplace. “We’re dedicated to providing the delicious taste and affordable price of Cafe Joe to consumers across the US and selling on Amazon is the first step in making Cafe Joe widely available.” said Aron Schoenfeld, Café Joe USA's Chief Executive Officer. 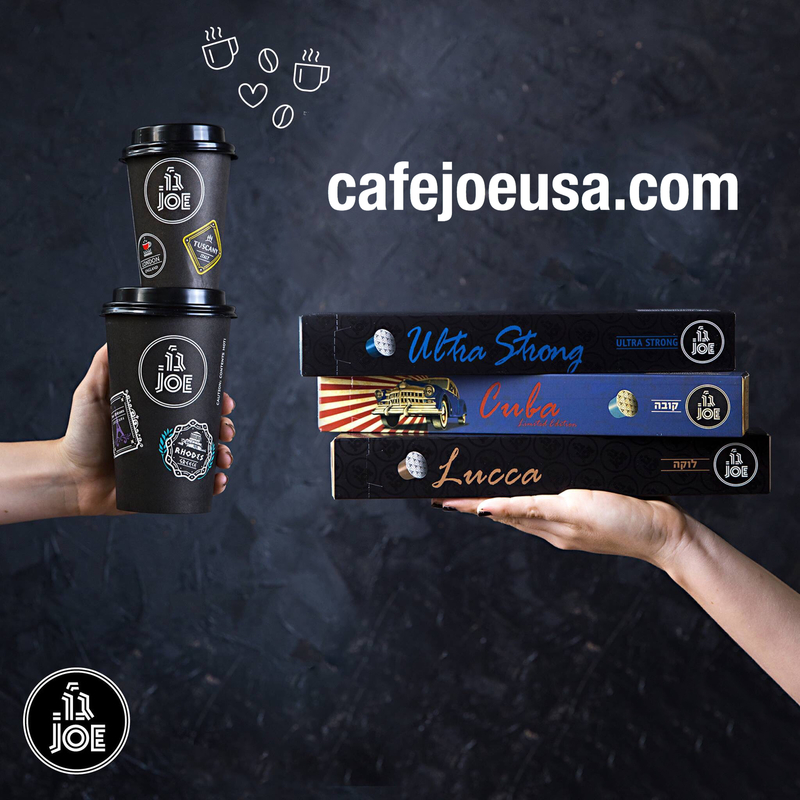 Cafe Joe, the premier Israeli coffee chain comprised of over 250 branches and points of sales across the country, is excited to announce that their US counterpart, Cafe Joe USA, has made their Nespresso compatible capsules and coffee available on the Amazon Marketplace. Café Joe has staked its reputation on providing high-quality coffee at a price point that consumers love. After making their first foray into US markets just weeks ago, Cafe Joe’s availability on Amazon makes getting that coffee into the cups of American coffee lovers simpler and more accessible than ever. Café Joe USA’s 100% Arabica Nespresso is available in 6-packs of 10 capsule sleeves. Café Joe USA’s capsules feature an innovative, air-tight “EVO” seal that ensures maximum coffee freshness, elevating the familiar espresso to new heights of flavor, body, and aroma. The combination of this oxygen barrier and unique tamp dome “extra cream” technology generates an especially robust crema and extracts the perfect coffee from Cafe Joe’s gourmet blends, providing a rich and fulfilling coffee experience. All of the coffee is certified Kosher and created in small batches.